A 7-story building may soon be rising on a vacant lot in Melrose, with a unique entrepreneurial wrinkle new to the South Bronx. Last January, a collective consisting of seven artists bought the 6,400-square-foot lot at 368 East 152 Street for $1.15 million, with help from ArtCondo, a real estate enterprise that helps artists leverage purchases of commercial workspace, buildings and townhouses. ArtCondo founder and CEO Michele Gambetta says the space will not be just for fine artists, but for all types of creative people — from painters to writers to bakers to shoemakers. The design calls for an industrial-style building with a green roof, 11-foot ceilings, a freight elevator, and 24 live-work spaces ranging between 650 and 1,300 square feet, and to 15 commercial spaces. 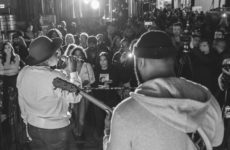 Some worry that an influx of newly arriving artists in a low-income neighborhood like Melrose is a harbinger of gentrification. 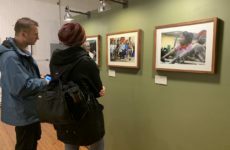 “A lot of the community residents are terribly afraid of artists moving into the community,” said Linda Cunningham, a longtime Mott Haven resident and co-founder of the BronxArtSpace gallery on East 140th Street. Those fears are unwarranted, she said. Juan Sanchez, 35, who has lived near ArtCondo’s proposed site for 10 years, says he wants assurances that the new project will give as much back to its new neighborhood as it will receive. According to Gambetta, ArtCondo will soon start reaching out to local nonprofits to see if they’re interested in renting space on the building’s first floor at below-market rates. All but a few of the apartments will be priced between $175,000 and $700,000, depending on size, though a few will be lower. Participating renters will be expected to invest a minimum of $70,000. 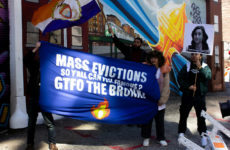 Creating affordable housing for artists is essential, said Elena Martinez, co-artistic director at the Bronx Music Heritage Center, because living space and health insurance are so difficult for them to obtain. In January, the Heritage Center’s host organization, WHEDco, started construction on a Melrose building with 305 affordable apartments that will also be home for an arts-based community center. Martinez said she is aware that new developments are causing prices to rise across the Bronx, and threatening to push people out. “Even though it looks like something could have a good benefit, you have to look down the road at what the consequences will be,” she said. 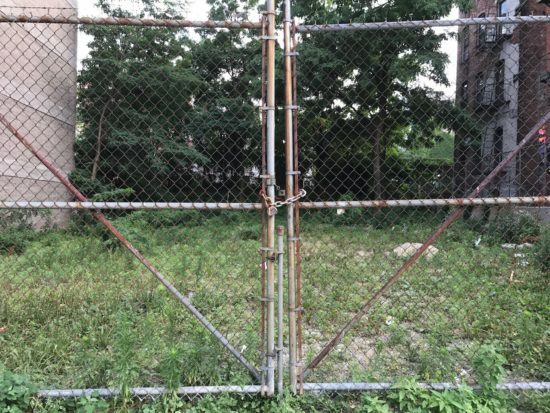 Artist Blanka Amezkua, who founded the 3A (AAA3A) gallery on Alexander Avenue, said she hopes that ArtCondo will work with Mott Haven artists when it moves in, and will complement the area’s distinct local culture. “Change is good when the past is recognized and integrated in future projects,” said Amezkua. ArtCondo is looking for 14 more creatives to include in its project, said Gambetta, adding that there is much to be done before construction can begin. It will cost about $9 million to construct the building, and the artists still must raise about $2 million so they can secure a $5 million bank loan. The architectural firm hired to design the building, Michael Muroff Architect LLC, is expected to complete a proposal in the fall. Gambetta expects tenants to begin moving in by 2019.